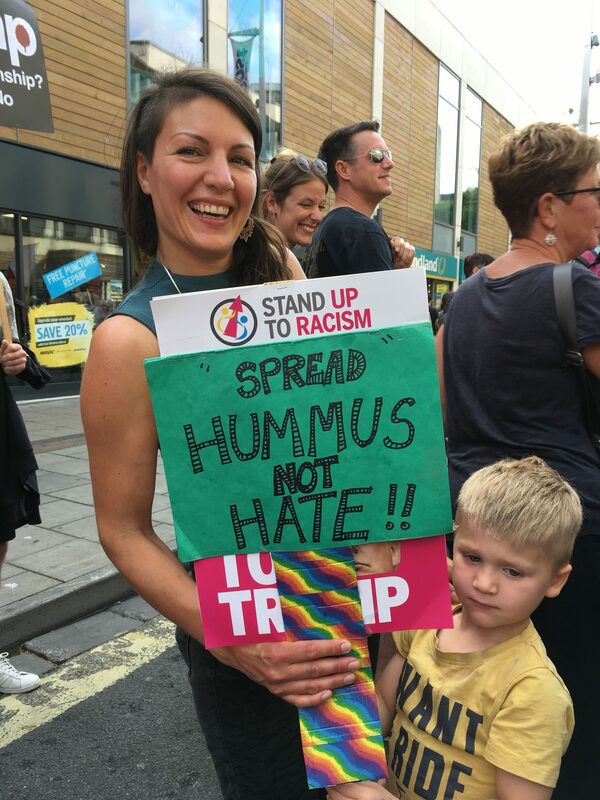 The Precious Pea | Spread houmous, not hate! Here is one of our favourite anti-Trump placards from last Thursday’s Bristol protest. On the 12th of July, more than 1,000 anti-Trump campaigners marched through Bristol, to show their anger at Prime Minister Theresa May welcoming the US president.